Quarzo Boutique Suites – Relax like home. 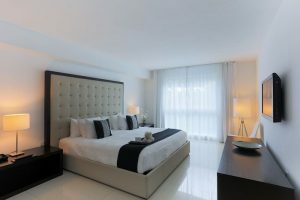 Come relax in spacious hotel suites on beautiful Bal Harbour, designed with sleek kitchens, chic decor, and modern furniture for a relaxing Miami lodging experience. Your search is over for a boutique hotel. Dream easy while you make Quarzo the place where home meets hotel. Quarzo Boutique Hotel offers ADA-compliant facilities including, among others, designated accessible rooms with roll-in showers, designated accessible self-parking, and ramps to front desk, guest rooms, and pool area. Get comfortable in Luxury Studio Suites, with 350 – 450 square feet of space, with beautiful décor, superior accents and a modern design that complements the natural space and ambiance. 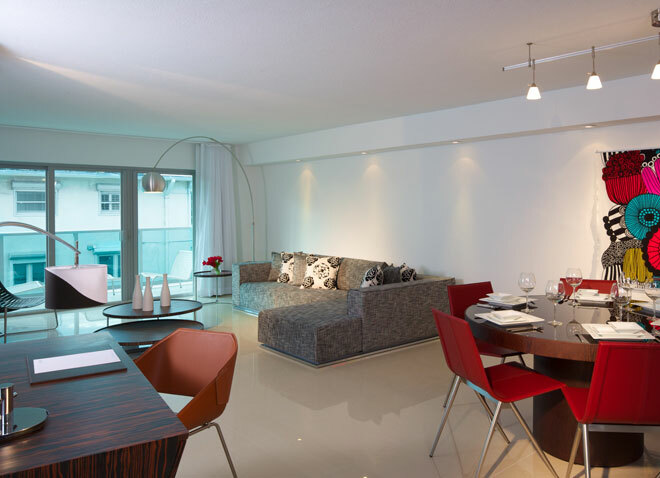 Spread out and feel the Miami vibe in beautiful One Bedroom Suites, offering 1150 sq. ft. of modern space for up to 2 people. With a hip, open areas, one-bedroom suites feature beautiful designer furnishings and décor in the bedroom, living room and dining area. Celebrate relaxation in Miami at our amazing 1,800 square feet Luxury Two-Bedroom Suites. Our contemporary two-bedroom suites feature two bathrooms with designer finishes and Roman tubs, open dining and living space, two phones, WiFi, and two bedrooms with one king bed and two full size beds. Enjoy the space in our amazing 1,800 square feet Waterfront Two-Bedroom suite, offering private balconies with sweeping views of the Intracoastal and Zen gardens. The suite features two bathrooms with designer finishes, open dining and living space and two bedrooms with one king bed and two full size beds.